The Purchasing Department is the central buying agency for Greene County Government. The Department contracts for and purchases all supplies, materials, equipment and contractual services required by each and every office or department of Greene County Government including Highway and Solid Waste department. The Purchasing Department receives requisitions for purchase, issues purchase orders, solicits bids, receives and disposes of surplus property (real and personal). 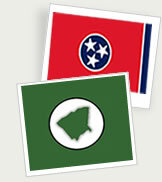 In order to stay informed of the latest procurement techniques and product information, the Department maintains an active membership in the National Institute of Governmental Purchasing (NIGP), the Tennessee association of Public Purchasing (TAPP) and the East Tennessee Purchasing Association (ETPA). Monday – Friday, 7:00 a.m. to 5:00 p.m.